Back in 1986, two years after we bought our cottage, a film crew set up on the grounds of the old Boys’ Camp on the shores of Lake Lure. They were filming a movie. The cast and crew stayed in The Lake Lure Inn. It was October and the water was frigid. At the time, little attention was given to this movie. Who had ever heard of Patrick Swayze or Jennifer Grey? I know that we were not even aware of what was happening at the time. All of the dance scenes were being filmed in the former boys’ camp gymnasium which has since been torn down. The cabins where the dancers supposedly lived were the former boys’ camp sleeping facilities. The steps and the bridge where Baby practiced her dance steps were also part of the camp. The steps are still in place but the bridge was demolished a few years ago. 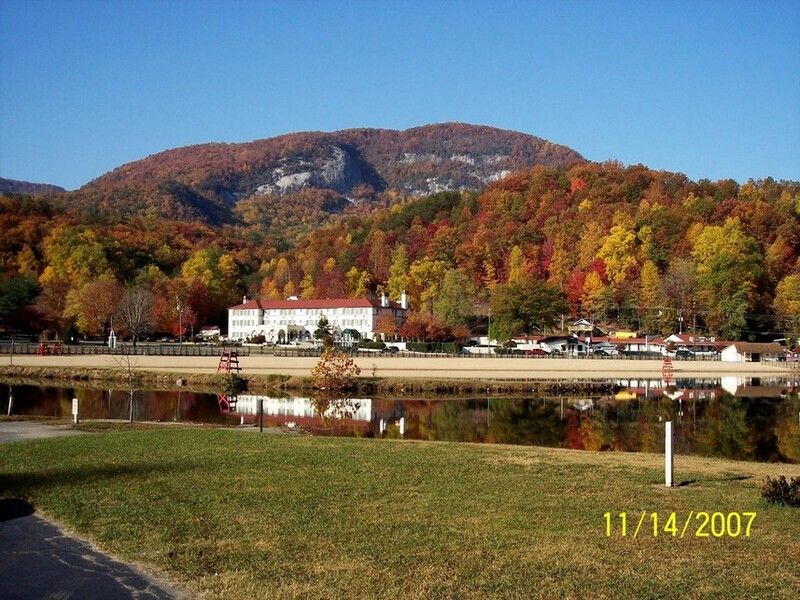 Many of the exterior shots of Kellerman’s resort in the movie were filmed at Mountain Lake Resort in Virginia. We have actually stayed in that resort near Blacksburg, Va. I was even confused about which scenes were filmed where. When we entered the Mountain Lake restaurant, I requested Baby’s seat in the corner. They obliged and David took my picture in the iconic spot. It was only when we watched the movie again, that we realized we had been duped and that the “nobody puts Baby in a corner” scene was actually shot in Lake Lure. Here is where I sat in Mountain Lake, Virginia. 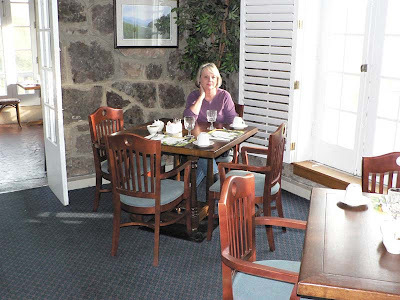 Here is where Baby sat on the set in Lake Lure. Confusions not withstanding, no one can deny that Dirty Dancing, a low budget movie, became a phenomenon with a huge cult following. Last year, after Patrick Swayze’s death, Lake Lure held a Memorial service for him and over 750 people showed up in the rain to commemorate both him and the movie. This year, recognizing the appeal of the movie, Lake Lure held the first Dirty Dancing Festival. We attended the festivities on Saturday. The headline performers were Maurice Williams and the Zodiacs. They performed many numbers including their award winning song from the movie Stay. Also present was Franke Previte, the songwriter for I’ve Had the Time of my Life and Hungry Eyes. There were performances by The Dirty Dancing Review Dancers, storytelling by former cast members and extras, and a Gala on Saturday night which was sold out before we thought to buy tickets. In spite of that, we had the time of our lives. And we have something that will keep the movie alive for us always. 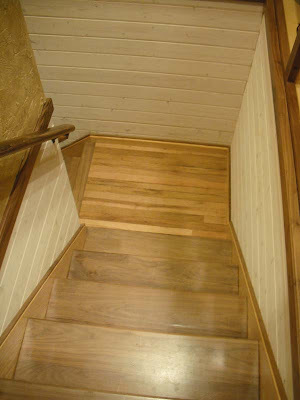 The landing going down to the lower level of our cottage is made from planks from the floor in the Boys’ Camp where Patrick Swayze and Jennifer Grey danced. You will find me there on occasion dancing to the soundtrack of Dirty Dancing. Hee hee! Posted on September 19, 2010 at 12:12 pm.